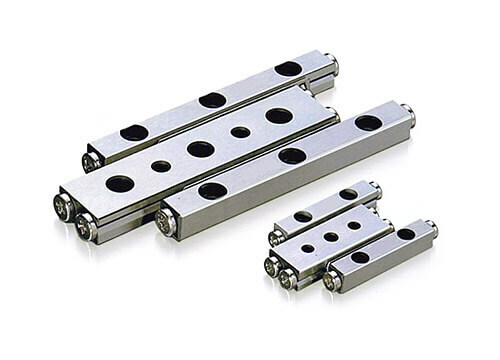 IKO Crossed Roller Way is a linear motion rolling guide in which a roller cage is incorporated between two ways with V-shaped raceways. 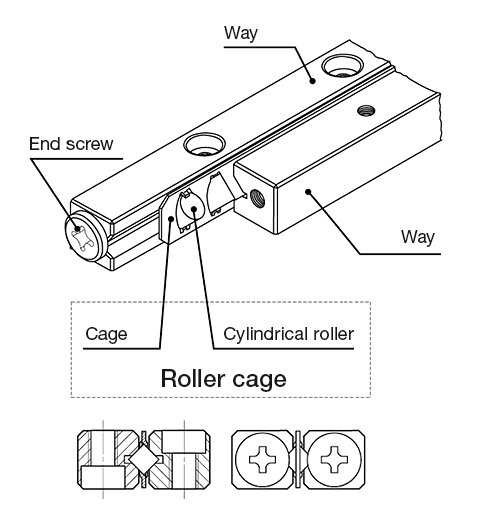 As the cylindrical rollers are alternately crossed, Crossed Roller Way can receive loads in any direction and can achieve very smooth linear motion with very high accuracy. Two types are available: the standard type and the module type. 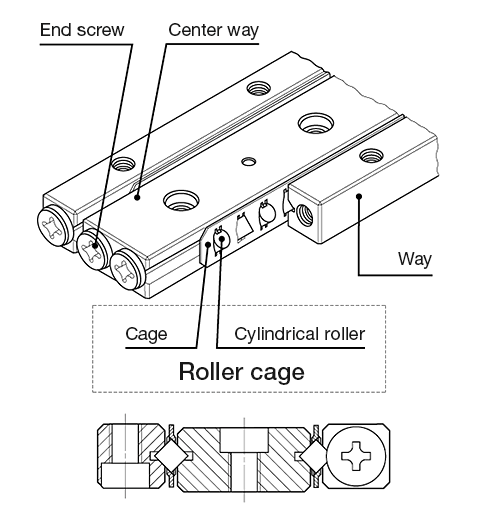 In the standard type four ways and two roller cages are used as one set, while in the module type two inner ways are integrated into a single piece. Standard types include high carbon chromium bearing steel type and stainless steel type. Precisely finished raceways are combined with roller cages, in which the length of super precise rollers is accurately controlled to avoid skewing. 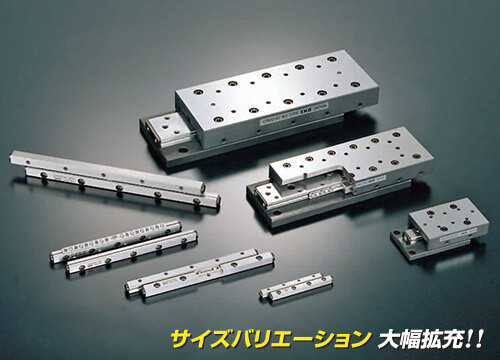 Very smooth linear motion with very little rictional resistance and free from stick-slip can be achieved. The mounting holes of the ways are female thread holes with a counter bore. So the mounting method is flexible, allowing the ways to be mounted either by using the female threads of the ways together with bolts inserted through the holes prepared on machines or by using the female threads prepared on machines. Mounting structure can be designed freely. Two inner ways of module type are integrated into a single piece. The mounting structure can be made simple and, furthermore, as errors from extra machining of the mounting parts can be avoided, accuracy of linear motion can be improved.